Handling incontinence as an individual or as a caregiver is a challenge. Despite the number of products on the market designed to help with this issue, incontinence remains an issue to be addressed. McKesson Ultra Absorbent Underwear changes that altogether. Each pair of underwear actually feels like regular underwear instead of a diaper. It also functions just like regular underwear in that you pull it on and off. 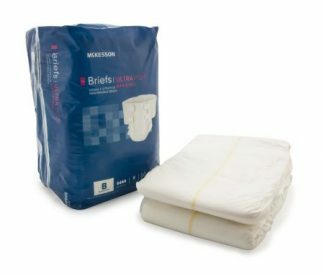 The design of this McKesson Underwear alone goes a long way, especially when caring for a parent or loved one who finds incontinence difficult to accept. Besides being a challenge to accept as either a person or as the caregiver of a loved one dealing with incontinence, it also presents health concerns. Not having skin that’s clean and dry leads to skin issues and breakdown or urinary tract infections. But McKesson Ultra Absorbent Underwear keeps the wearer dry and feeling good. 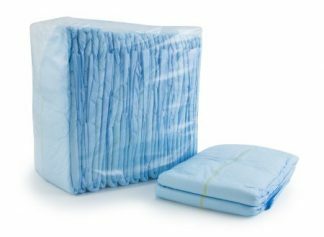 This is thanks in part to an absorbent dual core that locks away wetness and reduces wetness overall. 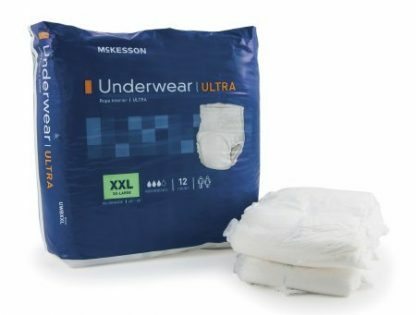 Careway Club sells McKesson Ultra Absorbent Underwear by the bag and by the case in sizes small to 2XL at an affordable price with fast shipping. 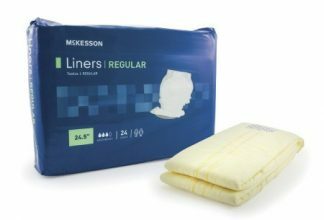 If you’re struggling to find a solution to incontinence issues for an individual, try McKesson’s Ultra Absorbent Underwear. 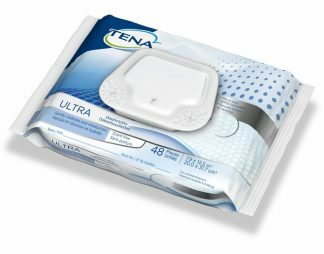 Skin Care Products -Part 3 covers TENA’s® innovative incontinence Pad that was developed to address skin care. Although this product is not a Cleansing Cream or Washcloth, both of which are true skin care products, I have chosen to discuss the features of this new pad today while skin care is fresh in our minds. Also, I will remind you again that TENAclub has agreed to offer you a 10% additional discount on any products featured in my blog. The name of this innovative incontinence pad is INTIMATES and it has been designed not only to keep you dry, but also to keep your skin healthy. So, let’s talk about TENA® INTIMATES – this new incontinence pad was created using ProSkin Technology…a technology that is focused on one’s skin health. It was this innovative technology that brought forth a new, fast absorbing incontinence pad that keeps you feeling intimately fresh and clean, without sacrificing any of TENA’s® well known Triple Protection features. Let’s review the anatomy of the SKIN. 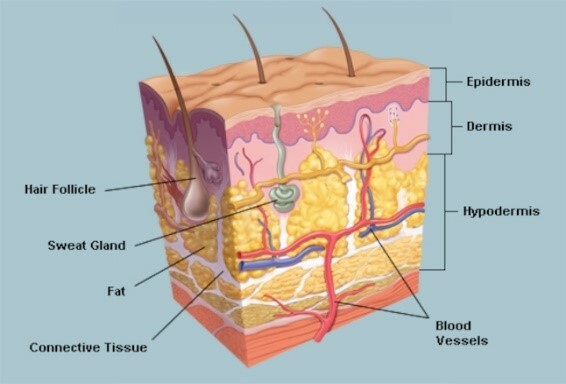 In the illustration below, I want you to view the outer most layer of skin called the epidermis. This is the component of skin that provides a waterproof barrier which protects the deeper portions of the skin. If the epidermis is sacrificed in the delicate perineal area, one becomes susceptible to inflammation in the affected area. 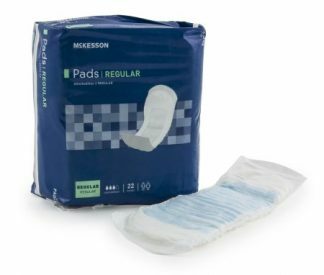 Therefore, by quickly absorbing fluid before it has a chance to attack the skin in that area, which the INTIMATES PAD does, is a welcomed feature for those who have sensitive or compromised skin. 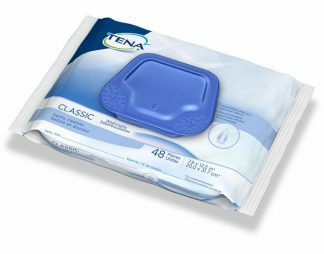 In an earlier blog, I stressed why TENA® Cleansing Creams and TENA® Wipes should be used routinely for optimum continence care. 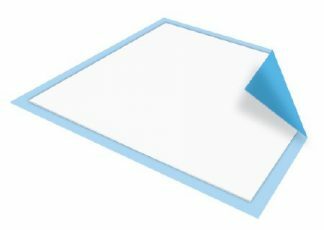 Now we are looking at an incontinence pad, that when worn, can quickly wick fluid away from the skin helping to maintain the skin’s natural protection. It becomes obvious that the use of INTIMATES pads plus the routine use of Cleansing Creams and Wipes is a combination of products that should be tried and evaluated for yourself or for a loved one. Take advantage of the extra 10% discount and order INTIMATES Pads today. If you are not already using them, try them, and make a comparison…you might find that this may be the best solution for keeping your skin healthy. This post is Part 2 about TENA® skin care products. In this article, I will be discussing a class of products, that has gained much popularity among individuals with incontinence. These products are TENA® Washcloths also called Wipes. The reason for their popularity is, not only because of their effectiveness as a disposable sanitary wipe, but also because of their convenient size and ease-of-use. Each washcloth measure approximately 8 inches by 12.5″, a very adequate size for its intended purpose, and are packaged in a low profiled pack designed to fit in a drawer, helping to reduce bedside clutter. Because the wipes are premoistened for gentle, effective cleansing, it’s unnecessary to add a moisturizing agent to the wipe before use. What I like most about TENA® Washcloths is that, unlike many other brands, the Ultra series for sensitive skin contain three soothing agent, namely; Aloe, Vitamin E and Chamomile. The inclusion of Chamomile, which you do not usually find in other brands, accelerates healing through its anti-inflammatory and antibacterial properties. Additionally, Chamomile is hypoallergenic which helps to reduce skin irritants by neutralizing free radicals. One last note, that is very important to mention, is that the wipes are alcohol-free to prevent burning sensitive skin areas. In my last blog, I covered Cleansing Creams, and how they were used for frequent cleansing and moisturizing when soap and water may otherwise irritate or dry the skin. Although wipes cannot take the place of Cleansing Creams, they certainly fulfill their purpose of soothing skin and leaving skin feeling clean and fresh after each change of a personal care product. Using TENA® Washcloths or Wipes in conjunction with TENA® Cleansing Creams, is considered to be an excellent method for keeping sensitive body parts clean and fresh. 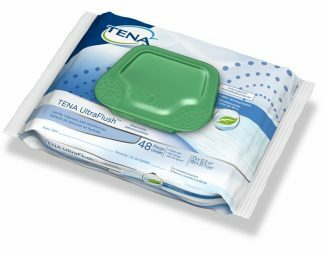 I can continue to explain the benefits of TENA® Washcloths or Wipes, but you really have to use this product to truly understand its benefits. This is the perfect time to try this product because it is being offered, only to readers of my blog, at an additional 10% off its already sale price. If you are looking for better solutions for continence care, I urge you to take advantage of this offer. It’s a very small dollar investment for what could prove to be a large gain in your or a loved one’s continence care. TENAclub has previously announced that I have agreed to write a series of short incontinence and continence care blogs exclusively for their customers. The articles will be brief and as non-technical as possible so that most who are interested in these subjects will have little trouble grasping the information being presented. 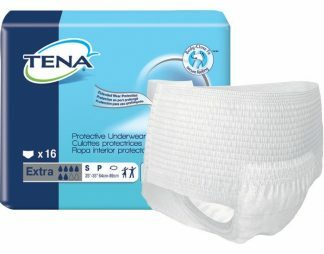 TENAclub has also agreed to offer a bonus discount, in addition to their already sale price, on any Tena® products recommended in my articles. I believe such a commitment by TENAclub will be an enticement for customers to try products and decide for themselves about their effectiveness. 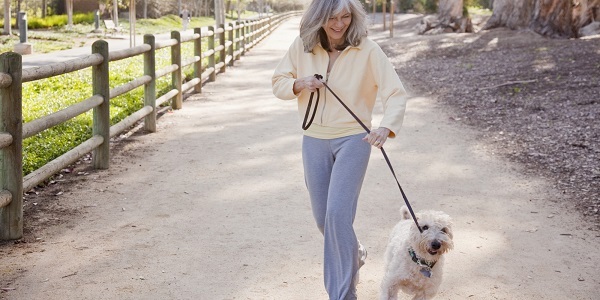 When it comes to continence care, even the smallest improvement in one’s condition is beneficial. The initial series of articles will be about skin care. My mission for the skin care series is to teach TENAclub customers, who are confronted with skin problems, how to effectively care for their condition. I urge you to do first things first, and open the following link Skin. This site, contains everything you need to know about your skin in an easy to read and understandable format. Roam around the site and read about any topic you think will interest you. Once you do that. I’m sure you will find other topics on the site that will fascinate the average person. If you have a basic understanding of the anatomy of the skin and the role it plays in human health, you will be able to connect the dots as to how skin care products function and the benefits one can derive from using the correct product for a particular skin condition. It really works folks…so be sure to frequently reference the Skin link to learn more and more about your own skin. It would be a good idea to bookmark the link for further reference. Just think about it – when stretched out, the average skin area on our bodies would measure about two square meters – that’s 6 feet squared or a total of 36 ft. There are more than 1,000 species of bacteria living on skin, totaling about 1,000,000,000,000 individual bacteria, and an average of 14 different species of fungi living between the toes. Skin provides a tough, yet soft and supple barrier between the internal organs and the harsh outside world. The function of TENA® skin care products is to help the skin stay clean and healthy and protect one from certain diseases. We all know that the body cream aisles of a drug store or supermarket can be overwhelming with various products…all claiming to keep your skin beautiful and healthy. Among this array of products, you will find cleansing creams from a variety of well-known cosmetic and personal product manufacturing companies. One company you will not see represented, will be the manufacturer of TENA® products…and that will be for a very good reason. That reason is that TENA® markets urinary incontinence products, such as adult pads and diapers. In addition to pads and diapers, however, TENA® also manufactures skin products that have been specifically formulated for people who have mild, moderate or pronounced incontinence. When we are discussing skin cleansing, it’s so important to keep in mind, the quality of the water supply in our localities. Depending on where you reside, the water in your community can be classified as very-good at the most and very-bad at the least. Impurities and compounds that are present in hard water supplies can lead to excessive dryness of the skin. Fortunately, those who live in areas with poor quality water are aware of that fact and realize they must be more diligent in caring for their skin. To avoid the harsh effects that take place when washing sensitive body parts, individuals with existing skin conditions,and those who want to avoid skin problems, should limit the use of tap water and instead use no-rinse cleanser to wash their skin. TENAclub’s most popular no-rinse cleansers fall into the category of Tena® Cleansing Creams. Read about these products and decide if you think any will enhance your or a loved one’s continence care. If you think Tena® Cleansing Creams would benefit your skin, I highly recommend, selecting the product you think is best to try, and take advantage of the extra discount being offered…you will have no regrets! Keep in mind as you read these blogs that there can be more than one product or one product size that falls within the topic being discussed. You should study the features of each of the products to determine which you think will serve you the best. As an example; Cleansing Cream is available in a pump bottle, a tube, and disposable packets. All will have images and descriptions for you to see and read. I should also mention that the entire category is eligible for the extra 10% discount being offered as a bonus. TENA® Cleansing Cream is a unique blend of emollients, skin conditioners and a moisturizer. TENA® Cleansing Cream is ideal for frequent cleansing and moisturizing during continence care when soap and water may otherwise irritate or dry the skin. Using TENA® Cleansing Cream results in quick and effective cleaning whereas soap and water is likely to dry delicate skin. Plus, it deodorizes as it cleans. TENA® Cleansing Cream does not contain dyes or perfumes. It contains Aloe, which helps to soothe skin and leaves the skin feeling clean and fresh. It is suitable for full body cleansing in bed or in the washroom. The 3-in-1 formula promotes skin health by gently cleansing, moisturizing and soothing vulnerable skin. The bottle contains an easy and convenient pump dispenser which allows for easy dispensing. Use the bonus coupon code when ordering for your extra discount. Every day, we speak to customers about incontinence, and in most of those conversations we find that they know everything about their symptoms, but little about how to manage their symptoms. We tell our customers, “manage your symptoms and enjoy life”! At TENAclub.com, our incontinence specialists, when talking to customers, make an earnest effort to stress how one should be managing symptoms rather than dwelling on the negative aspects of the symptoms. Never allow your bladder to dictate your lifestyle. There is absolutely no reason why anyone should have to curtail their activities because of urinary incontinence. Once you understand how to manage urinary incontinence, you are on the right path to taking over your life style once again. To be successful, you must learn about the various quality products available for managing urinary incontinence…there are literally dozens of products available for that purpose. In future blogs, we will be classifying these products so that you better understand their function. Keep in mind, that today’s incontinence products are designed, extensively tested, and manufactured for both protection and comfort. The two most important criterions these products must have are: excellent absorption capabilities…that is, the product must be capable of absorbing and containing more urine than will be discharged over a period of time (the amount of urine, of course will vary with the individual). Secondly, the product must be capable of neutralizing urine odors. It’s very important to know that each individual will have their own needs…some will need more absorbency while others will need less absorbency. All of these factors depend on the degree of urine leakage. That being said, you can be assured that there is a suitable product for everyone. It may only require a relatively short trial and error period to zero in on the correct product for your personal condition. The good news is that TENAclub.com works closely with its customers during this trial and error process by supplying free samples of product so that one can test them in the privacy of their own home. 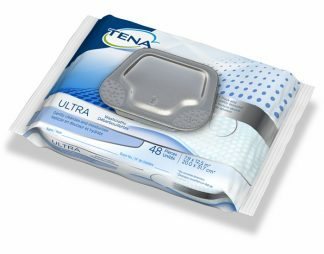 All of us at TENAclub.com want to assist you in finding the right incontinence product for your personal needs…always remember that bladder leaks are no huge deal. We’re confident that by understanding how to manage incontinence, you will not be dwelling on its negative aspects because there is no need to do that…it is important for you to know that most all of the difficulties having to do with incontinence can be cancelled out of your mind and replaced with happy thoughts and feelings to make you hopeful and cheerful throughout each day. The mission of this blog is to accomplish a feeling of hopefulness for all of our customers who are confronted with urinary incontinence. It is so important to remember that urinary incontinence, which is defined as a bladder control problem resulting in the accidental leakage of urine, should never result in a feeling of hopelessness. Instead, when one becomes more knowledgeable about the condition and also about the various categories of incontinence products that offer solutions to the condition, one should find that feeling of hopelessness converting to a feeling of hopefulness. Yes, that’s correct, you will be hopeful not hopeless, because of your new knowledge and better understanding of this very common condition that affects both women and men. In this series of blogs, you will become knowledgeable about the solutions to controlling urinary incontinence through the utilization of a myriad of proven products, all of which are readily available on our website, along with tips for lifestyle changes that can help ease the symptoms of incontinence. TENAclub.com is owned and operated by Careway Wellness Center. Careway Wellness Center has been a leader in the sales of incontinence products for over 40 years. Over these 40 years, Careway has served more than 46,000 satisfied customers. It is our intent to add readers of our blog to this growing list of customers. We’re sure that by understanding incontinence, you will not be dwelling on its negative aspects because there is no need to do that…it is important for you to know that most all of the difficulties having to do with incontinence can be cancelled out of your mind and replaced with happy thoughts and feelings to make you hopeful and cheerful throughout each day. TENAclub.com is now open to the public! We’re very excited to announce that TENAclub.com is now open to the public! We look forward to helping people around the country with their incontinence needs. If you have any questions, please feel free to Contact Us. The origin of our online TENAclub business goes back several years when it was created in our retail store in Woburn, Massachusetts. Because the TENAclub retail business model was so successful, management pursued taking the concept from a brick and mortar business to an online business. TENAclub’s online presence has been accepted by its customers as serving the needs of the incontinent population with an efficient and discreet method for ordering product. Our main focus from the beginning was to sell Tena products and nothing else. 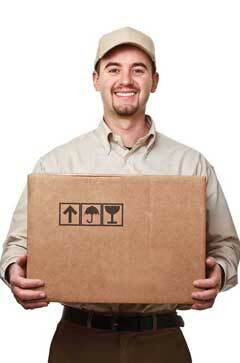 All of the products would be sold at a discounted price combined with excellent customer service. Today, we continue to operate our retail store in Woburn, Massachusetts, but our dominant TENAclub online business has grown at a phenomenal rate, nothing short of amazing. We never sacrifice quality by substituting generic brands. We sell all of our products at discounted prices with no gimmicks. We never false advertise our products or services. We run our business under the premise that our customers should be treated the same way as we ourselves want to be treated. We will always treat our customers, whether large or small, with appreciation and thankfulness. Our customer’s testimonials are a reflection of our business.